The hill above was the location of a Cold War early warning radar site built as part of a system designed to defend the United States against enemy air attacks. 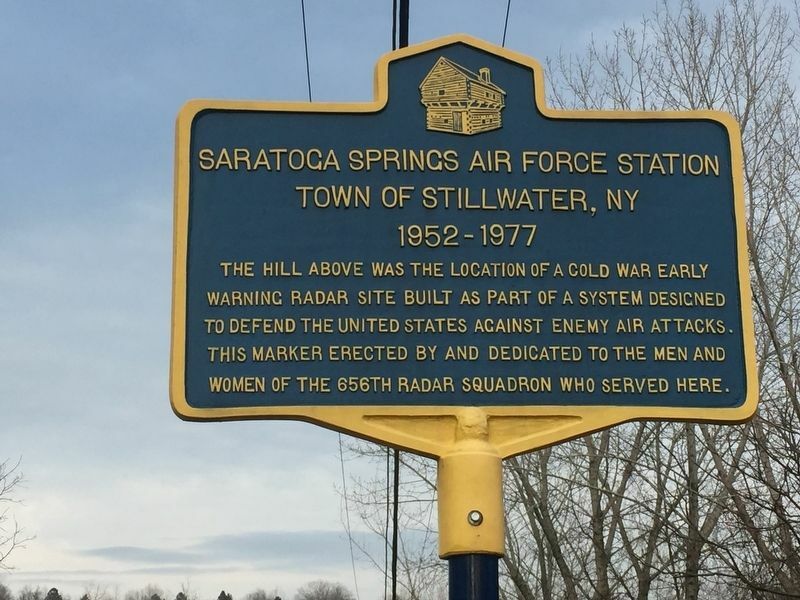 This marker erected by and dedicated to the men and women of the 656th Radar Squadron who served here. Erected by 656th Radar Squadron. Location. 43° 0.574′ N, 73° 41.694′ W. Marker is in Stillwater, New York, in Saratoga County. Marker is at the intersection of County Route 70 and Radar Road, on the left on County Route 70. Touch for map. Marker is in this post office area: Stillwater NY 12170, United States of America. Touch for directions. (approx. 2.3 miles away); To the Battlefield (approx. 2.3 miles away); New York and Massachusetts Forces (approx. 2.4 miles away). Touch for a list and map of all markers in Stillwater. More. Search the internet for Saratoga Springs Air Force Station. Credits. This page was last revised on March 30, 2019. This page originally submitted on March 29, 2019, by Steve Stoessel of Niskayuna, New York. This page has been viewed 41 times since then. 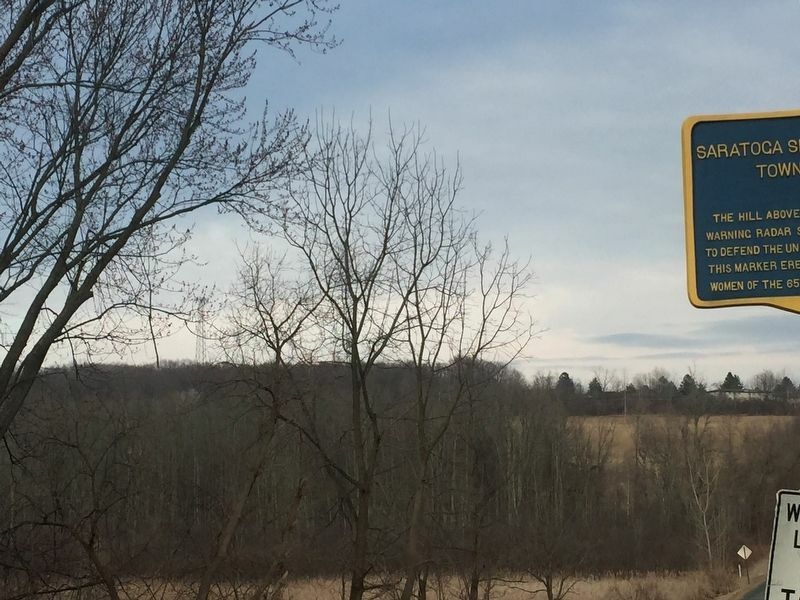 Photos: 1, 2. submitted on March 29, 2019, by Steve Stoessel of Niskayuna, New York. • Andrew Ruppenstein was the editor who published this page.